"Méditation pour une nouvelle conscience" is a guide and a tool for living a range of inspiring inner states. It is for anyone curious about meditation and its benefits. For if the interest of our company for meditation is growing, few have the manual of this often silent and barren practice. The music of Stephen Sicard takes him to an inner journey, a route marked with a known destination. A state of joy, peace and celebration. Meditation promotes activation of brain lobes and the process of awakening. When the consciousness is illuminated, the cosmic feeling appears and the brain expands, the CD of the visual image. The instrumentation Stephen Sicard leads in pure spaces, crystalline, subtle, such a continuous song and love where the soul unfolds. All these areas are in themselves, this new album is just the interface and the way of access to connect and explore. This is the indispensable album of this autumn 2015 to plod serenely into the benefits of meditation. We are pleased to make you discover it on Radio PLENITUDE, every day, from october 05 until october 18, before it enters in a regular programming. 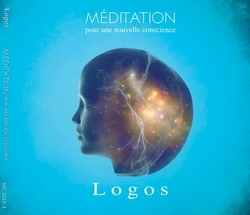 La Voie du Sage - Tao ll by Stephen Sicard alias Logos, album january 2015 listening on Radio PLENITUDE from march 17, 2014. L'Eveil de la Déesse by Stephen Sicard alias Logos, new album september 2014 listening on Radio PLENITUDE from october 14, 2014.